There aren’t a ton of ways to build a house other than the way houses have always been built, which is to say, by putting up four walls then adding a roof. This ages-old technique had to be modernized at some point, though, and as with everything else in our lives these days, technology’s delivering that modernization. In this case, instead of being built the old-fashioned way, houses can now be printed. Last week at the South By Southwest festival in Austin, Texas, construction technologies startup ICON and housing nonprofit New Story unveiled their version of a 3D printed house. The model is 650 square feet and consists of a living room, kitchen, bedroom, bathroom, and shaded porch. It went from zero to finished in under 24 hours, and it cost less than $10,000. Equivalent homes built in developing countries will cost a mere $4,000 each. This isn’t the first 3D printed house to spring up (or, rather, to be plopped down); there are similar structures created with similar technology in Russia, Dubai, Amsterdam, and elsewhere, but this is the first permitted 3D printed home to go up in the US. ICON’s crane-like printer is called the Vulcan, and it pours a concrete mix into a software-dictated pattern; instead of one wall going up at a time, one layer is put down at a time, the whole structure “growing” from the ground up. The printer consists of an axis set on a track, giving it a flexible and theoretically unlimited print area. The house has a greater purpose than just wowing techies, though. ICON and New Story’s vision is one of 3D printed houses acting as a safe, affordable housing alternative for people in need. New Story has already built over 800 homes in Haiti, El Salvador, Bolivia, and Mexico, partnering with the communities they serve to hire local labor and purchase local materials rather than shipping everything in from abroad. New Story is in the process of raising $600,000 to fund a planned 100-home community in El Salvador. It will be the first-ever community of 3D printed homes. Printing will begin later this year, and the goal is for families to be moving in by Q3 of 2019. Donors can fund a full house with just $4,000. Six hundred and fifty square feet may not sound like much space for more than one to two people, but it’s a huge step up from the lean-tos and shacks that make up the slums where millions of people live. 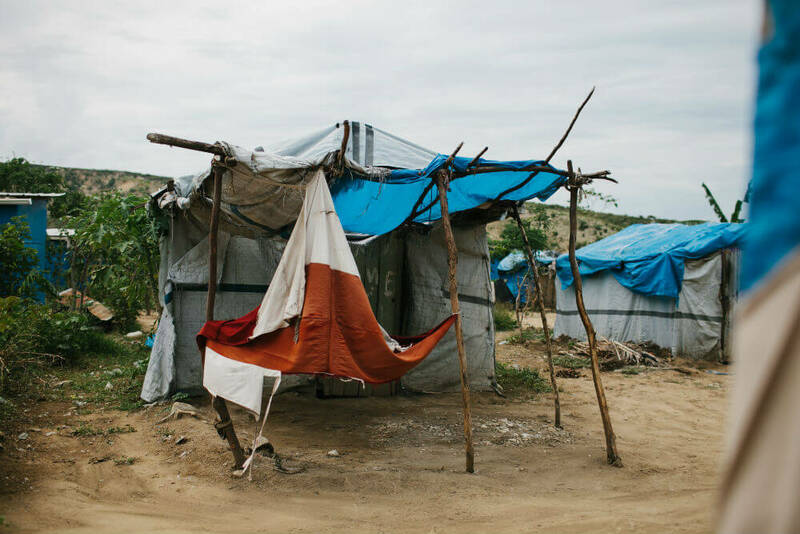 ICON and New Story hope the Salvadorian community will serve as a scalable model that can be exported to developing countries around the world, providing a high-quality housing option for the millions who currently lack one. “Instead of waiting for profit motivation to bring construction advances to the global south, we are fast-tracking innovations like 3D home printing that can be a powerful tool toward ending homelessness,” said Alexandria Lafci, COO of New Story. The homes are built to the International Building Code structural standard and are expected to last as long or longer than standard concrete masonry unit homes. While 3D printed houses are a great alternative to the flimsy lean-tos millions of people call home, there are some limitations to consider in terms of them being a solution to global housing shortages. The biggest need for affordable, safe housing in the developing world is in or near big cities; take the slums of Cape Town, Nairobi, or Mumbai as an example. Replacing families’ current homes in these locations with printed houses may prove difficult simply due to space constraints; 3D printed communities are far more practical in rural areas where there’s less population density, and may not be a truly scalable solution in urban areas until the communities get vertical. 3D printed high-rises are already in the works, though not yet for the purpose of affordable housing. If skyscrapers can be printed and used as offices, it’s only a matter of time before they can be used for housing as well. And in the meantime, $4,000 a pop for a safe, cozy home where there was no home before is a solid step in the right direction. This entry was posted in Architecture, Design, Design for Good on March 27, 2018 by Editor.